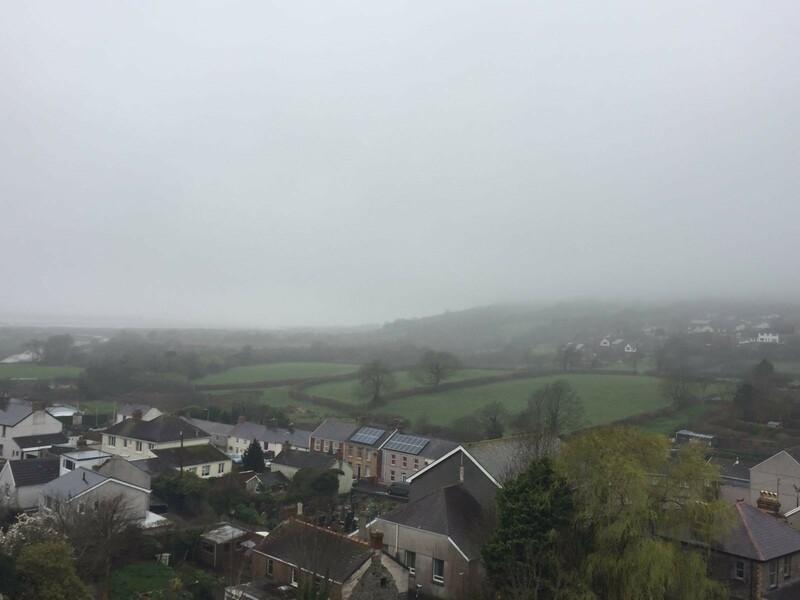 On a cloudy afternoon in March my son and I stood at the top of the tallest tower of Cydweli Castle in Kidwelly, Wales. Sleety rain dispersed over us, cold droplets like tiny needles driven into our flushed faces on the crest of a biting wind. Panting and puffing, our breath mingled with the boisterous breeze as we recovered from a steep and winding climb up the tower, our feet carefully treading over centuries of narrow, worn stone. A low lying mist shrouded the rolling green landscape around us. On one side the view looked over the coast of Camarthenshire, a narrow estuary and marshland that had been developed with housing, leading to the village and the surrounding fields and hills. Over a thousand years of history lay silent around us except the rushing of the elements and the occasional whooping of my daughters elsewhere in the castle. We looked out over Maes Gwenllian (Gwenllian’s Field), about 500 metres from the castle, near woodland. The once stirring battle cries of the brave warrior princess, Gwenllian echoing silently down over the centuries through the legend of her deeds. 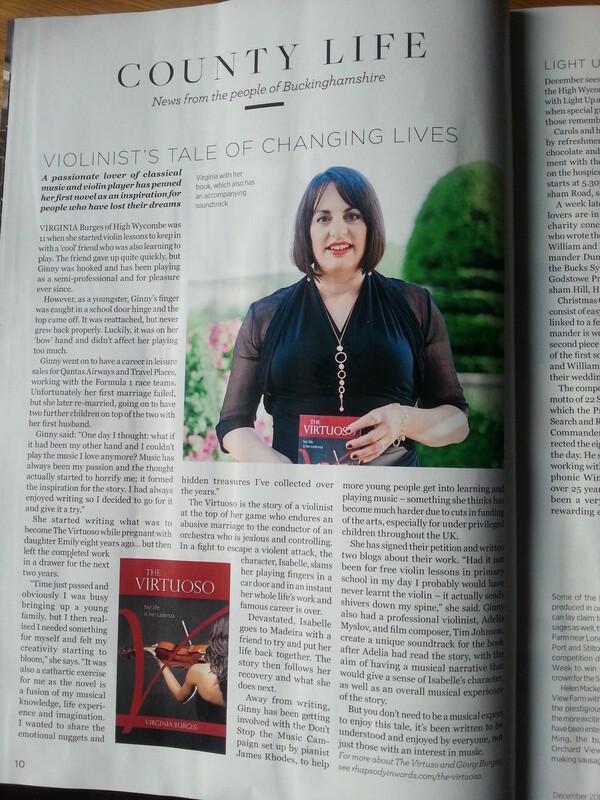 After I learnt of her story I was inspired by her courage and sacrifice and felt she deserved to be remembered in my writings. Princess Gwenllian was the youngest daughter and child of Gruffydd ap Cynan (1055 – 1137), King of Gwynedd, and his wife Angharad. Born at the family seat in Aberffraw, she had four older sisters (Mared, Rhiannell, Susanna and Annest) and three older brothers (Cadwallon, Owain and Cadwaladr). She was said to be beautiful with long, flame red hair, intelligent and well educated. After the French Norman Invasion led by William the Conqueror in 1066 turmoil had been unleashed across the kingdom. The Welsh lords had lost many of their lands and possessions to the Normans, who built impressive fortifications and castles in Aberystwyth, Cardigan, Camarthen, Pembroke and Cydweli. These castles stood on land that had once belonged to the Kingdom of Deheubarth. Map of Welsh regions c. 1093 when Rhys ap Tewdwr died. It was in this environment of repression, rebellion and Welsh patriotism that she was raised. 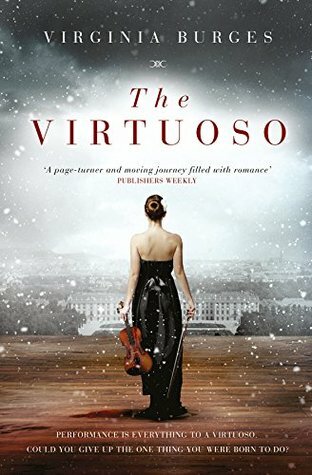 Even though physically striking she was no wilting violet, having been taught how to use a sword by her father! Gwenllian was about 13 years old when she first met the love of her life, Gruffydd ap Rhys, prince of Deheubarth. 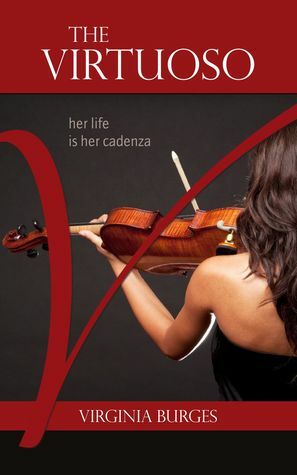 He had received a warm welcome from her elderly father and promptly fell in love with his spirited daughter Gwenllian. The couple eloped to Gruffydd’s castle home of Dinefwr in the Tywi Valley, Deheubarth. 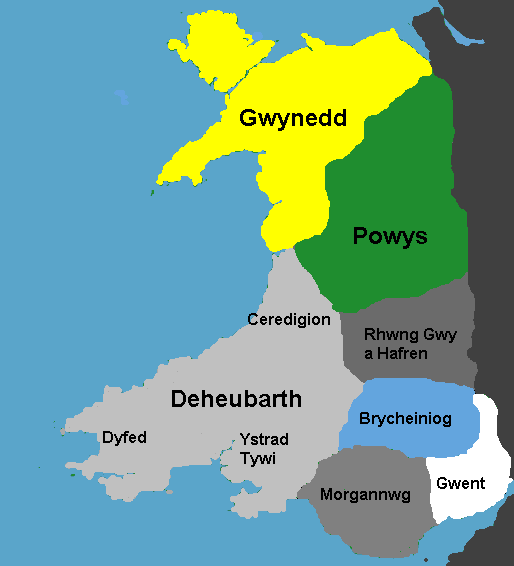 They had four sons: Morgan (1116 – 1136), Maelgwyn (1119 – 1136), Maredudd (1130 –1155) and Rhys (1132 – 1197). Gwenllian and Gruffydd were a kind of medieval version of Robin Hood and Maid Marion, making daring raids on the Normans in Deheubarth, redistributing their goods and wealth among the local Welsh population. Their raids would surely have been an annoyance for the Normans, but no significant turning point came until early 1136, shortly after the passing of Henry 1st, the Norman King of England. His death had created a power struggle between his nephew, Stephen of Blois and his daughter, The Empress Matilda, in a civil war known as ‘The Anarchy’. A revolt began in South Wales, where a Welsh army lead by Hywel ap Maredudd, Lord of Brycheiniog defeated Maurice de Londres at Llwchwr near Swansea. The Norman lord fled back to Cydweli Castle. Sensing the Normans were on the run, Gruffydd and Gwenllian made the fateful decision for Gruffydd to ride north with his men to gather support and the forces of her father based in Gwynedd in the north. An army of that size would have been able to drive the Normans out of Deheubarth. With her husband and the majority of his men away, Gwenllian and her sons were left vulnerable. 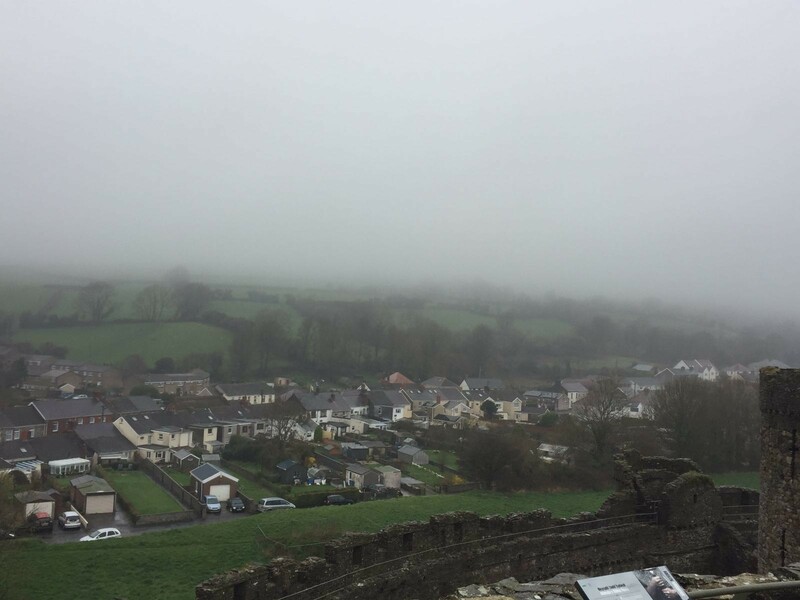 In the early hours of the 28th of February 1136 Gwenllian received news that the Normans were amassing an army at Cydweli Castle, likely aware that Gruffydd and his men were away. Gwenllian had already decided to fight should the need arise, and after making sure her two younger sons Maredudd and Rhys were safe she rallied support from the local men. 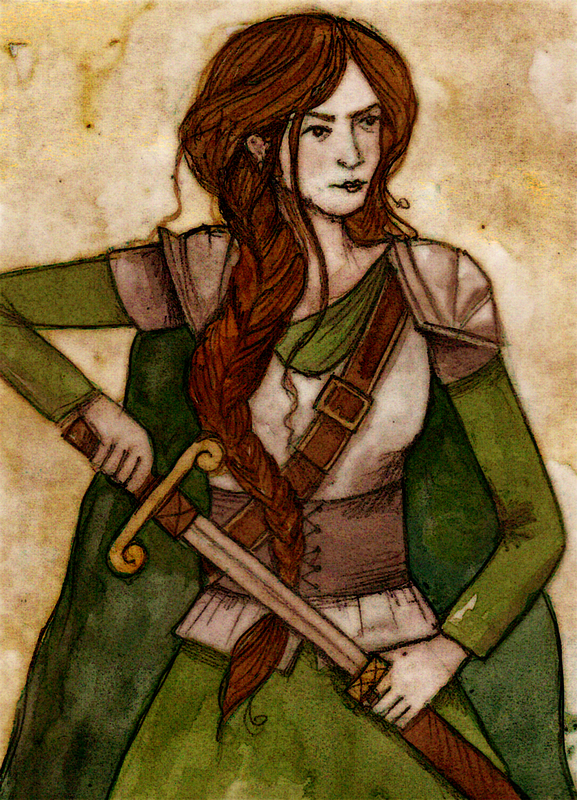 Gwenllian, the Warrior Princess, led her army consisting of her two eldest sons and around two hundred ill-equipped local men and by the afternoon they had reached Cydweli Castle. The short winter daylight hours meant they had to camp nearby. She decided on two strategies, namely lightning raids which she had organised before with her husband, while waiting for his return to launch a major offensive. She split her troops in half; one group to remain with her at their camp in the woodland to the north of the castle, intent on cutting-off supplies to Maurice de Londres in the castle, while the other group, headed by a local chieftan, took men by boat to stop the Normans landing on the coast. This may well have worked, had it not been for the traitor in her midst. Gwenllian was betrayed by no less than her chieftan, Gruffydd ap Llewellyn, who instead of cutting-off the coastal landings as instructed, met with Maurice de Londres and gave away Gwenllian’s position. She had lost the element of surprise and was the victim of a surprise attack herself as Gruffydd ap Llewellyn and the Normans descended from Cydweli Castle along the banks of Gendraeth Fach, their banners fluttering in the wind. Soon they had surrounded Gwenllian’s camp. A fierce battle ensued, with archers and dagger men, and eventually Gwenllian was felled from her horse. Her eldest son Morgan was killed trying to protect her, and Maelgwyn was made to watch as his injured but defiant mother was captured. The cruel Norman Lord, Maurice de Londres, who instead of acting in a chivalrous manner towards a woman captive (which was the etiquette of the time), decided she should be executed. Poor Gwenllian was spared being burned at the stake but was beheaded there and then on the battlefield. A gruesome but quick death. It is said that a spring welled up in the place where she died, fighting to the end for Welsh freedom. When her husband Gruffydd ap Rhys and her brothers Owain and Cadwalar heard that Gwenllian and her two sons had perished at the hands of the Normans they were filled with grief and vowed revenge. Her death was the catalyst for the Great Revolt of 1136. The furious Welshmen attacked the castles of north Ceredigon, slaughtering the Normans there. They had a further victory at Cardigan in 1136, but Gruffydd ap Rhys died only a year after his wife. Of their four sons only the youngest Rhys ap Gruffydd lived to old age. 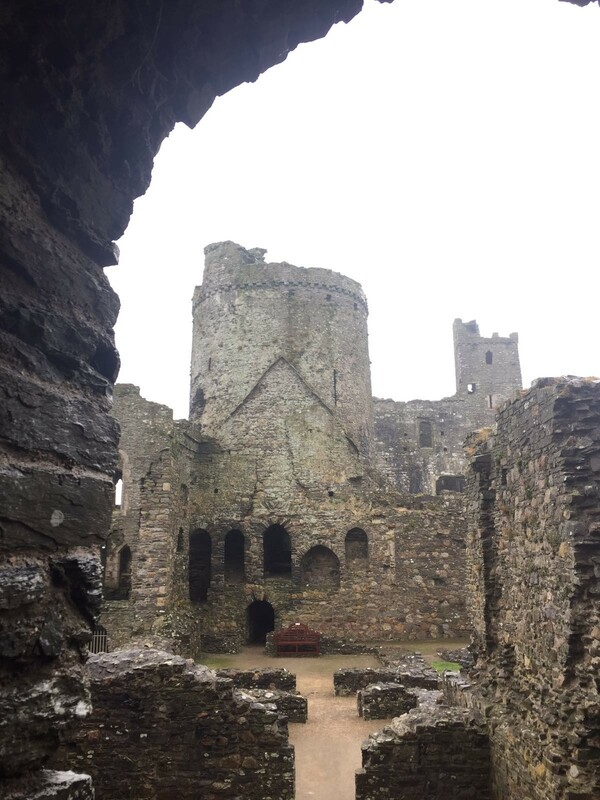 For decades after her death the welsh and the Normans battled over castles and territories, but eventually her youngest son Rhys ap Gruffydd (The Lord Rhys), became the greatest Welsh lord of his time. He regained many of the lands his family had lost in Deheubarth and won others to boot. 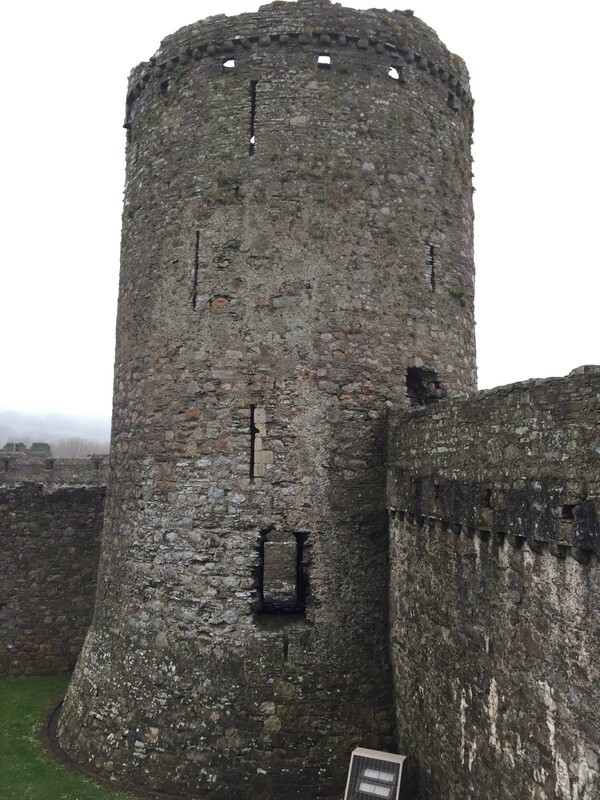 In 1159 he retook Cydweli Castle from the Normans avenging his mother’s murder. He rebuilt the fortress in 1190 and held it until his death in 1197. Rhys also claimed Cardigan Castle, where in 1176 he founded the first Welsh Eisteddfod. Thus was started a festival tradition that continues to this day. Singers and musicians have performed for centuries, long after the court poets, harpists and bards of Lord Rhys’ era. The title of ‘Prince of Wales’ may well have first been used by the Lord Rhys. He must have been a man of vigour as he was known to have fathered at least nine sons and eight daughters. There was a bitter feud between his eldest legitimate son, Gruffydd ap Rhys (II) and his eldest, illegitimate son, Maelgwn ap Rhys. 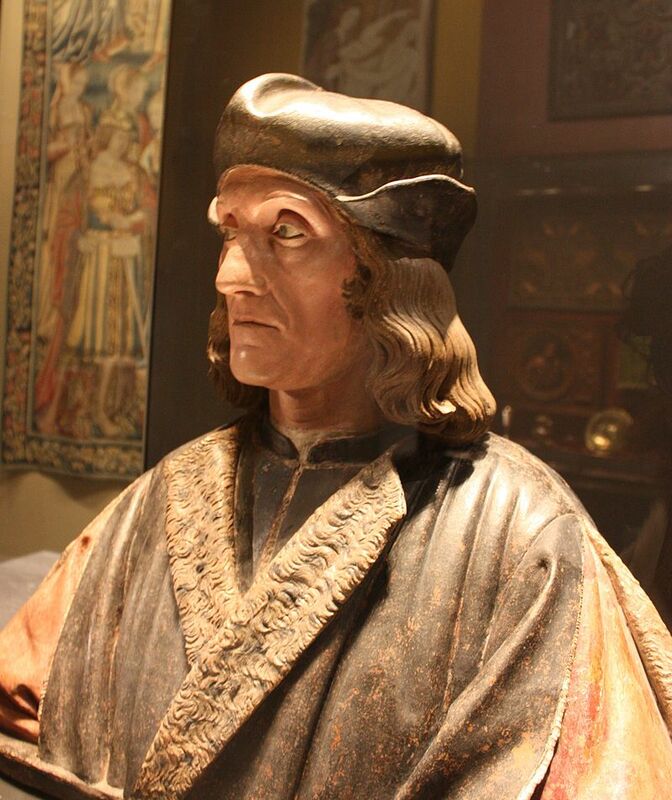 Two of his daughters were named Gwenllian after his legendary mother, but the younger Gwenllian (1178 – 1236) married Ednyfed Fychan, seneschal of Gwynedd under Llywelyn the Great, and through her offspring her grandmother, Gwenllian ferch Gruffyd became an ancestor of the Tudor dynasty. Through the Tudors inter-marrying with the House of Stuart, Gwenllian is an ancestor to the House of Windsor and also an ancestor of several ruling houses in Europe. When Henry Tudor landed in Pembrokeshire, Wales in 1485 to make a bid for the English throne, his descent from the Lord Rhys (and Gwenllian), was one of the factors which enabled him to attract Welsh support (Henry flew a Welsh dragon banner at the battle of Bosworth Field). Gwenllian is remembered in a traditional Welsh lullaby known as the ‘Caniad Hun Gwenllian’, by Meilyr Brydydd (1100 – 1137), chief bard at the court of Gruffydd ap Cynan, King of Gwynedd. 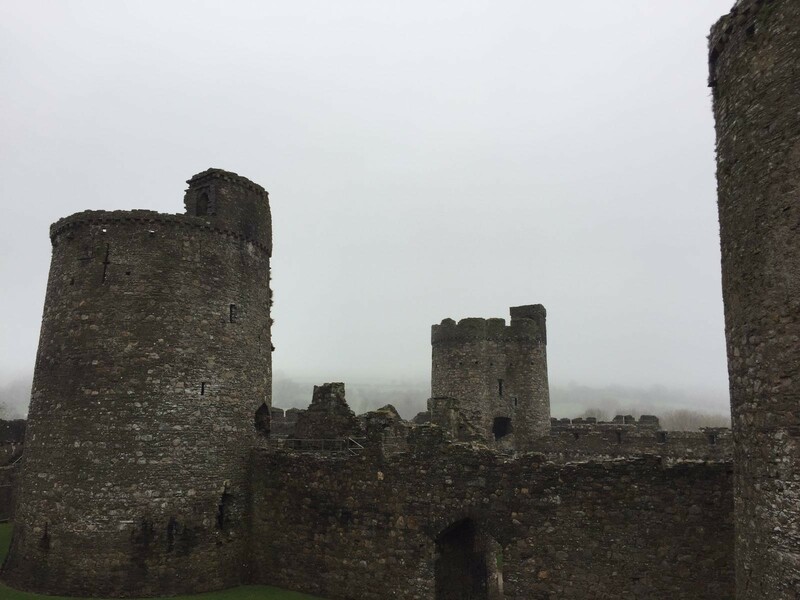 Our Welsh sojourn was fun and fascinating, summed up for posterity on a blog with photographs (Wales is Always Poetic, Even in the Rain). 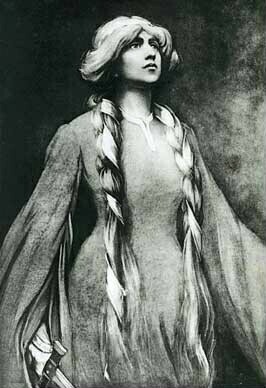 For me Gwenllian really embodies the spirit of Wales, wild, beautiful, patriotic, cultured and courageous, having left a tremendous historic legacy on the UK and the world. Thank you for this wonderful telling of Gwenllian’s story. I’m named after this great woman, and my older brother is named after Owain Glyndwr, so hearing the history is always fascinating to me. This is probably the most detailed write-up I’ve seen as well, I feel like I’ve learned so much more! Thanks again!